An award-winning writer travels the eastern front of Europe, where the push/pull between old empires and new possibilities has never been more evident. 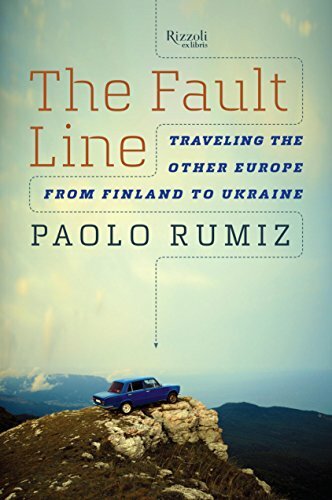 Paolo Rumiz traces the path that has twice cut Europe in two—first by the Iron Curtain and then by the artificial scaffolding of the EU—moving through vibrant cities and abandoned villages, some places still gloomy under the ghost of these imposing borders, some that have sought to erase all memory of it and jump with both feet into the West (if only the West would have them). In The Fault Line, he is a sublime and lively guide through these unfamiliar landscapes, piecing together an atlas that has been erased by modern states, delighting in the discovery of communities that were once engulfed by geopolitics then all but forgotten, until now.The farther south he goes, the more he feels he is traveling not along some abandoned Eastern frontier, but right in the middle of things: Mitteleuropa wasn’t to be found in Viennese cafés but much farther east, beyond even Budapest and Warsaw. As in Ukraine, these remain places in flux, where the political and cultural values of the East and West have stared each other down for centuries. Rumiz gives a human face not just to what the Cold War left behind but to the ancient ties of empire and ethnicity that are still at the root of modern politics in flash-point areas such as this.